The coast of Turkey from Marmaris to Kekova Adasi, including the northern tip of Rhodos. Scale: 1 : 193.000. 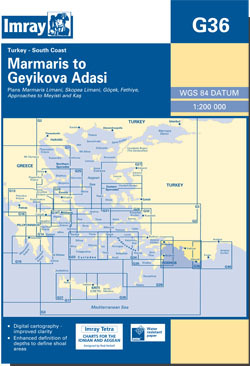 Larger scale plans of Marmaris, Rhodos, Megisti, Apporaches to Megisti and Kas, Fethiye, Gocek.